Movie2Browse is a versatile application that allows the user to catalog movies, generate movie screenshots, convert movies to AVI, FLV, WMV formats, extract audio. All you have to do is turn on Auto Shot and drag and drop a movie file (AVI, FLV, MKV, MOV, MPEG, WMV and more) onto the media drop box to import a movie. 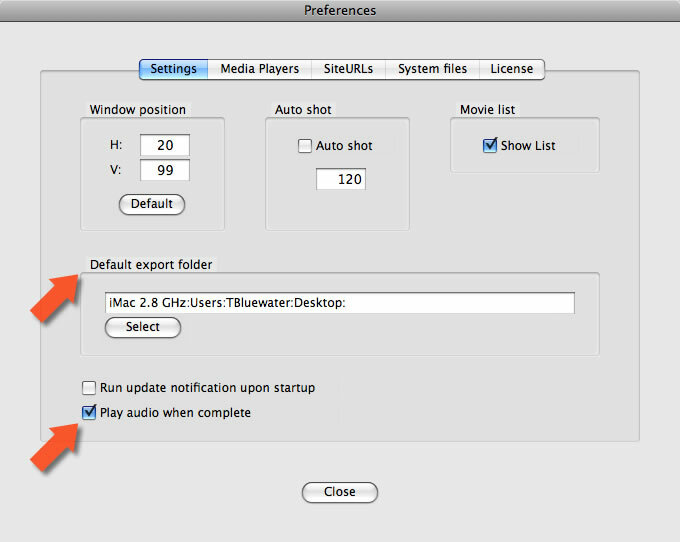 Or turn off Auto shot, import a movie and replace an existing movie snapshot with another. 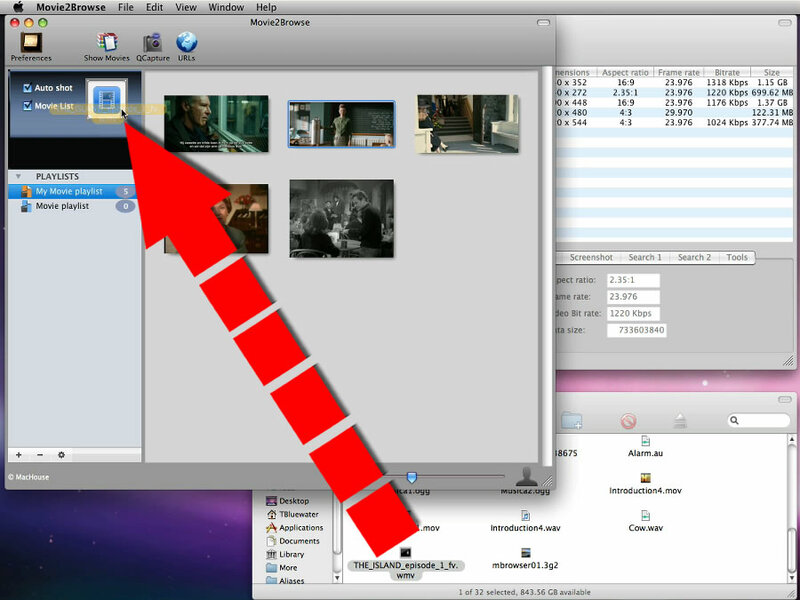 Click on the button to download a demo/trial version of Movie2Browse for Mac. This QuickTime video covers 2 new features (sQTime & sMKV) that were introduced to Version 1.5.0. Movie2Browse is not currently available. The application is finally compatible with Snow Leopard. The application remembers the location where it was last closed. Fix: The application should now correctly read the video bit rate. Functions that are to be deprecated by IDE software are replaced. A measure is taken to prevent the application from crashing after deleting a playlist. Other numerous insignificant changes/fixes/improvements are made. The description of xFLV is fixed. The application remembers main window's position, where Preferences window will open. All progress bars are now done with OS X's default one. The box label of Screenshot under Preferences > Settings is changed to Default export folder. The folder path set here will be used for all tools. The user has an option of letting the application sound a chime when the task is complete under any of the tools. xShots1: Its progress bar now comes with a cancel button, which can abort the process immediately. xShots2: Its progress bar now comes with a cancel button, which can abort the process immediately. xShots2: This tool now comes with a duration slider. And the number of seconds will also be noted in the time code format. Many typos are corrected, and many trivial changes and minor improvements are made. A new tool is available. 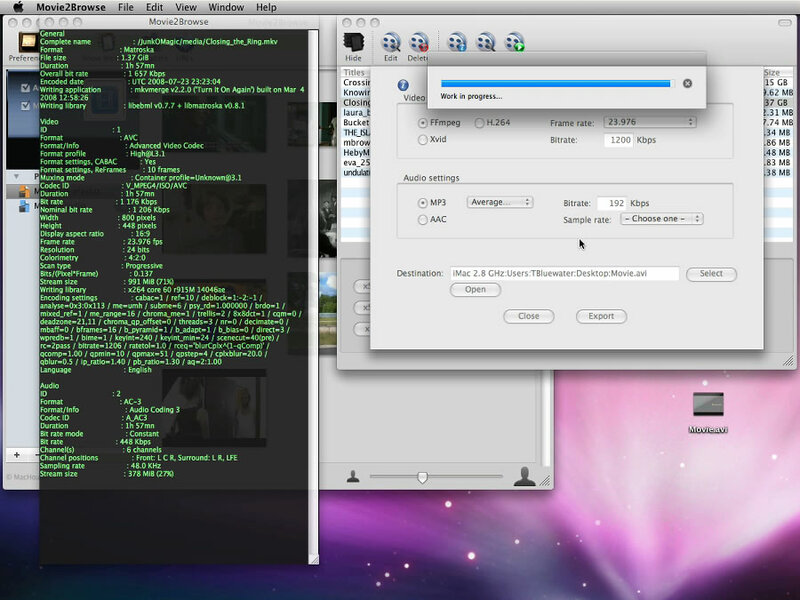 sAVI allows the user to split the selected AVI-container movie into any number of independent clips. See User's Guide for more information. sQTime: When the expected number of split segments is 1, the user will not be able to proceed. sQTime: The user can now abort the export process. sMKV: When the expected number of split segments is 1, the user will not be able to proceed. A new tool is available. 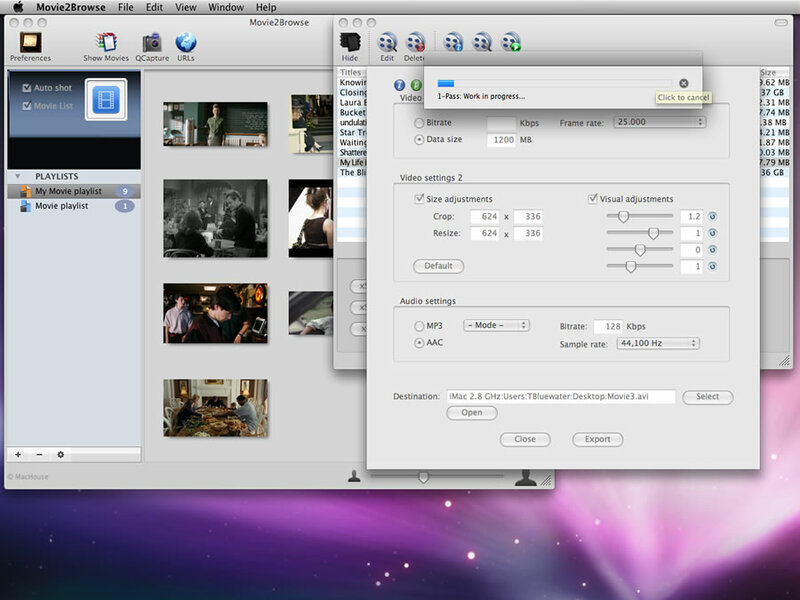 sQTime allows the user to split QuickTime-based movies (M4V, MOV, MP4...) into multiple independent clips. The number of split clips is unlimited. See User's Guide for more information. A new tool is available. 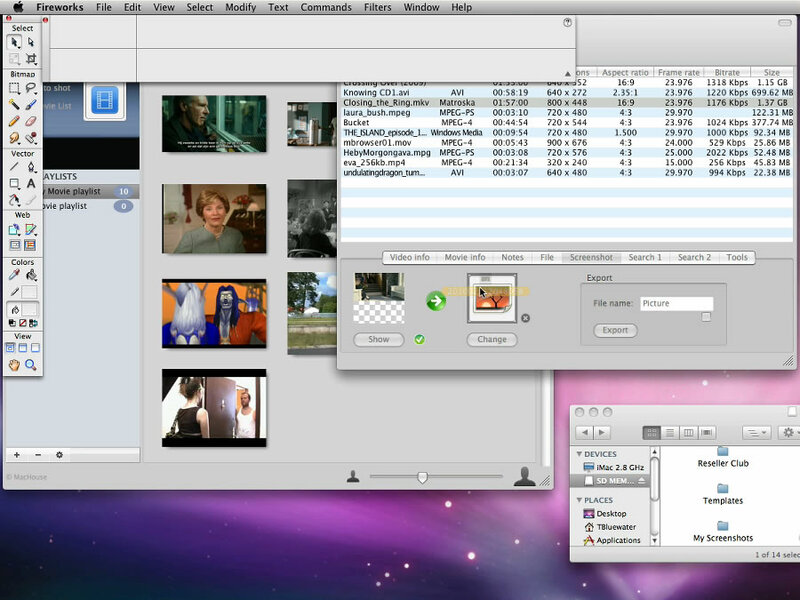 sMKV allows the user to split MKV movies into multiple indendent clips. The number of split clips is unlimited. See User's Guide for more information. xXvid is fixed so that it can better achieve the target data size after going through the 2-pass process. xXvid is fixed so that it can better achieve the target bitrate or target data size after going through the 2-pass process. xFLV: The user now has an option of exporting a movie with or without deinterlacing it. xMPEGa: The export progress is now estimated better. A new tool button (xXvid) is now available. 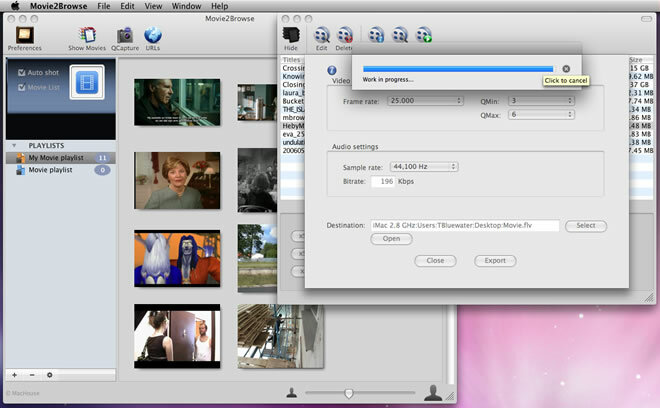 The user can export an Xvid movie packed in AVI with 2-pass mode. This export tool comes with cropping/resizing and visual adjustments. Click on the Preview button to see changes. Please read h) xXvid on User's Guide for more information. 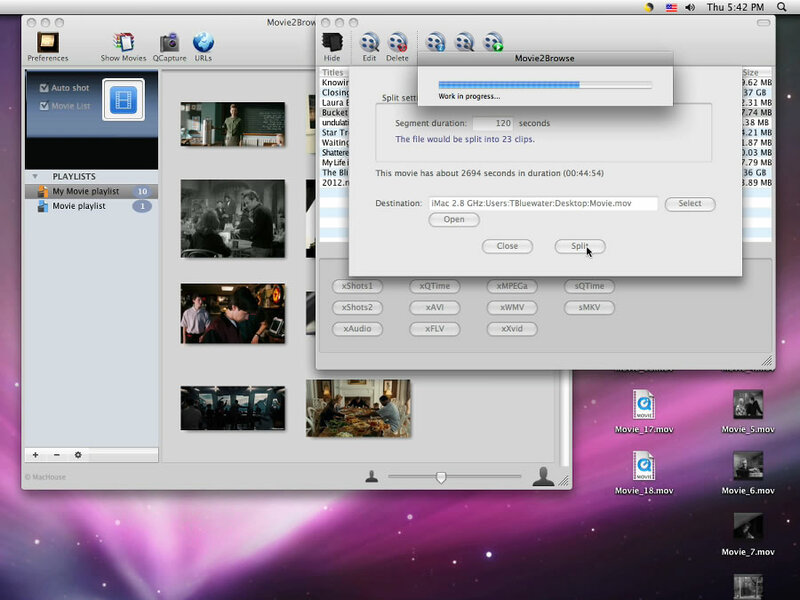 Movie2Browse is a product of MacHouse.